That F'ing Monkey: King of Braves GaoGaiGar! My favorite giant robot might be a bit obscure to the people reading here. It isn’t Voltron, Giant Robo, Mazinger, or even Johnny Sokko’s flying robot. No, my favorite giant robot is the King of Braves, GaoGaiGar! GaoGaiGar was a 1997 Japanese cartoon created by Sunrise. The original series ran 49 episodes before being followed up with the King of Braves GaoGaiGar FINAL OVA. 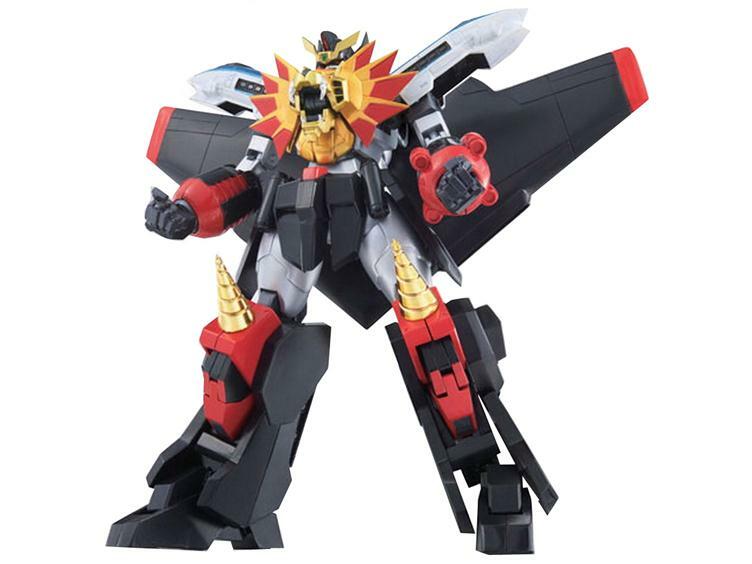 The reason I’m talking about all of this right now is that in September Bandai Japan is releasing a GaoGaiGar figure in the Super Robot Chogokin line. The Super Robot Chogokin line is a smaller figures, around 5.5 inches, but they are heavily articulated so you can get a wide number of poses out of them. They also use a mixture of diecast metal and plastic. They aren’t cheap, but are much cheaper then the Soul of Chogokin line. 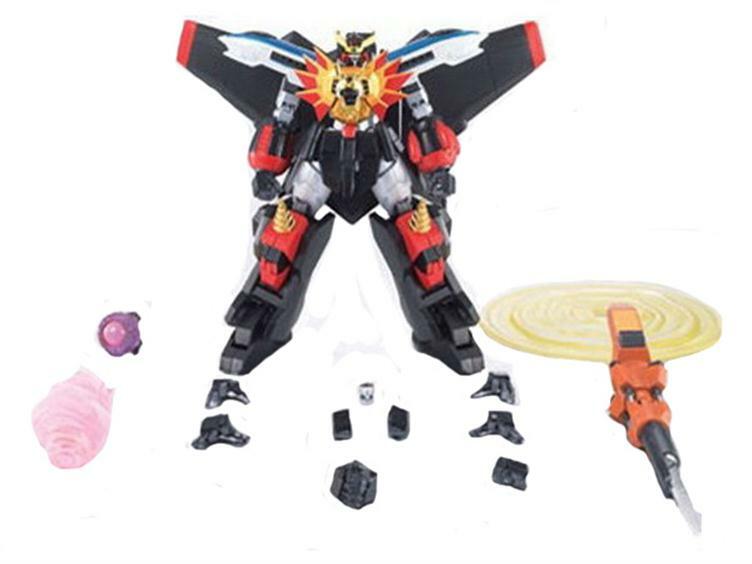 GaoGaiGar is normally formed when a bullet train, stealth jet, drill tank, and robot lion all combine to make a giant robot. This version doesn’t transform, but it does come with multiple hand and face parts. It also comes with the Dividing Driver, special effect parts, and Zonder Core parts. There is also an accessory set coming out at the same time called the Key to Victory 01. 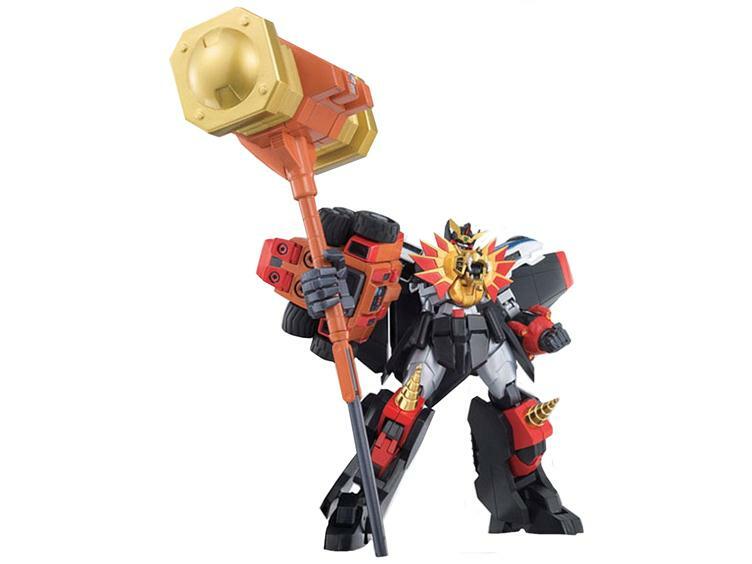 This set will give your GaoGaiGar figure his most powerful weapon, the Goldion Hammer. Basically GaoGaiGar’s finishing move was causing so much strain on his arms, it was tearing the robot apart. So they designed the Goldion Hammer and the extra arm piece that is used to hold it. Together the two sets come in at about 85 dollars, so it isn’t going to be cheap. I know a lot of the details I threw out there sound crazy; I promise we’ll take an in-depth look at the GaoGaiGar cartoon in the future.